Alternatively, maybe the US is exceptional and has managed to produce a genome that lends itself to ignorant, thuggish, chucklefucks. But my minimal understanding of population genetics says that it would take tens of thousands of years to produce such a difference (though it would be a fascinating study on the nature/nurture continuum). Let me add to this my personal call for European leaders to also start “telling it like it is” – the Iranians, at least, are willing to call the US administration’s action “inappropriate and idiotic.” We need much more disrespectful speech, other world leaders (except from the British, who have the whole brexit thing making them unable to cast well-aimed aspersions). I am not in a position to know whether the Iranian Revolutionary Guard are “terrorists” or not, but the US Central Intelligence Agency clearly are. What I’d like to see is non-aligned nations declaring it as such, and requiring US diplomats to prove that they don’t work for the CIA before they are allowed into any country. Of course, they’d lie; they already do – but being flagged at every border as members of an international terrorist organization would be a well-deserved slap on the wrist to those smug regime-changing, torturing, ICC-ignoring, malware-deploying, critical infrastructure hacking jackasses. World, get with the program, and declare the CIA, NSA, and FBI “international sponsors of terror” and stop working with them until the US agrees to be bound by the International Criminal Court, and they put Elliot Abrams on a plane to The Hague. I have expressed such ideas, in the past, to former friends at NSA. That’s how they became “former.” It’s interesting how, when you’re dealing with someone who is deeply programmed by exceptionalism into an imperialist tool, they really take this stuff personally. In their world, what they are engaging in is a moral crusade – they are completely justified to do whatever they convince themselves is right; I’m the bad guy – the moral relativist in the situation. Speaking of moral relativism, I’ve bitten my tongue and not written anything about Netanyahu’s stated intention to illegally annex parts of the west bank [bbc] – clearly demonstrating that the long-term plan behind settlements was colonization; I know that the US, which threatened NATO deployments, froze assets, and expelled diplomats when Russia annexed Crimea, will again threaten NATO deployments and set up sanctions. Right? Riiiiight? …at this point, Trump has no further value to anyone let alone Russia. It’s a skill Americans don’t seem to learn in school, which is why (I believe) we have a population that is ripe for turning into imperialists and believers in various forms of exceptionalism. My experience with schools (and also universities) is that this skill isn’t taught in other countries either. Are you sure that “shrugged off” is the right word? Back when I was living in Germany, I talked to some locals who seemed pretty pissed off about this one. It’s not that they wanted to shrug it off, it’s just that Germans knew that it’s impossible to do anything about this issue. When it’s the USA who is committing crimes, everyone else knows that there’s nothing they can do to make Americans stop doing whatever nasty thing they are doing this time. Are you sure that “shrugged off” is the right word? Back when I was living in Germany, I talked to some locals who seemed pretty pissed off about this one. It’s not that they wanted to shrug it off, it’s just that Germans knew that it’s impossible to do anything about this issue. Funny you mention that. It was the Americans who shrugged it off, not the Germans. I remember it as having been shrugged off; at the time I was very upset that here, the NSA had been caught with its hand in the cookie jar, doing something that was illegal under international law and not telling the president or congress. 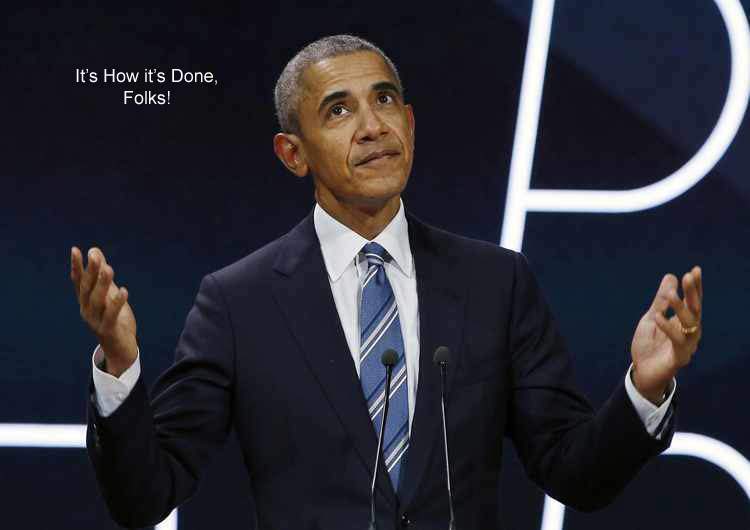 And, of course, “gosh we tapped some folks” Obama shrugged it off too.